Smartphones and tablets look set to dominate the portable gaming market with iOS and Android based app titles to generate more revenue in the coming months than dedicated portable gaming releases from the likes of Sony and Nintendo, new reports have suggested. The new figures, compiled by analytics firm Flurry, have revealed that by the end of the year mobile and tablet based games will outsell releases from Sony and Nintendo for the first time, taking a 58 per cent share of the market and generating $1.9 billion in revenue in the process. It is expected that with the Nintendo 3DS failing to reach its expected heights and Sony gamers holding off for next year's release of the PS Vita, dedicated portable games console will record $1.4 billion in revenue during the same period. Landing considerably cheaper and easier to acquire than physical gaming releases for portable consoles, downloadable app titles have taken the smartphone and tablet markets by storm in recent years with the bird flinging app sensation Angry Birds leading the way. 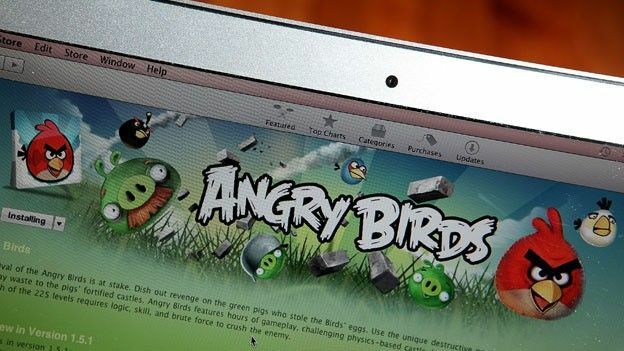 Earlier this month Angry Birds developer Rovio announced that the highly addictive, low cost game had recorded its 500 millionth all format download with the half a billion milestone coming following the release of two spin-off titles, Angry Birds Seasons and Angry Birds Rio. Has your smartphone become your portable games console of choice or do you remain a dedicated PSP or DS touter? Let us know via the comments box below.